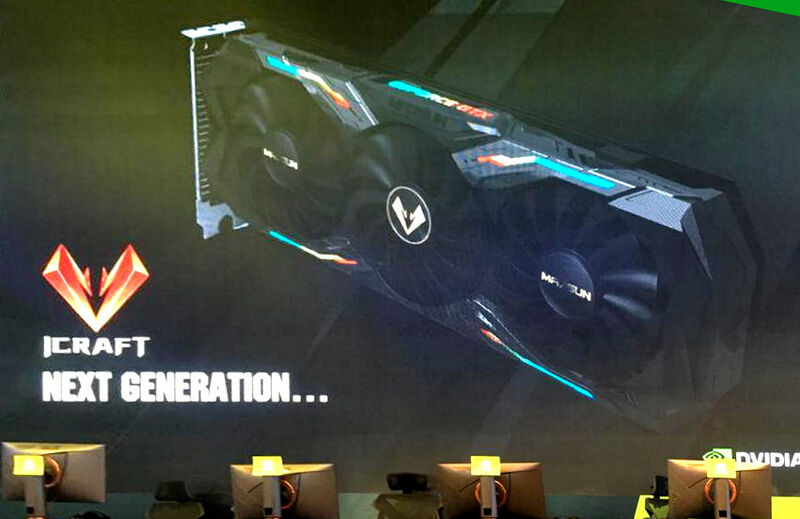 We already have the first image of Nvidia GeForce GTX 2080, specifically a custom model designed by the Asian premium AIB partner of NVIDIA, Maxsun. The graphics card is part of the iCraft family presenting a design that occupies two PCI slots with a triple fan cooling solution. The graphics card looks quite long, but it could be due to the cooling solution that ends up protruding from the PCB of the graphics card. Unfortunately, we don’t have details of graphics card apart from the image, since everything is based on a customized product, but it seems to have a single 8-pin PCI-Express connector and it would not have any DVI connector. Anyway, this leak is very good news. It is expected that on August 20, 2018 Nvidia will announce its new generation of GeForce GTX graphics cards for the gaming segment and this leak indicates that we are already close to this presentation.